Yamaha’s Jorge Lorenzo has proclaimed that Marc Marquez is a phenomenon after he became the youngest rider in history to win a MotoGP race. Factory Yamaha rider Lorenzo had to settle for third after a difficult weekend at the Circuit of the Americas where Honda and their RC213V were a cut above the rest. 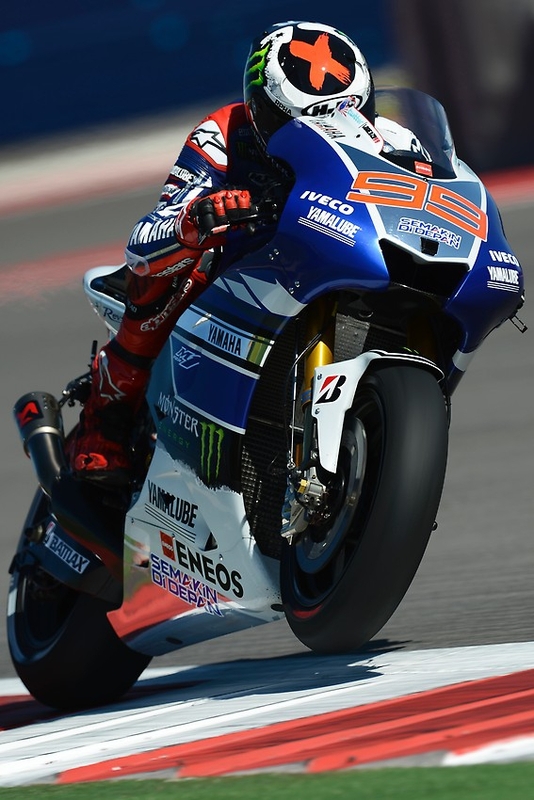 Lorenzo had been playing second fiddle to the Hondas all weekend, qualifying in third yesterday. Despite getting his Yamaha M1 sideways off the line and finding himself 4th behind Stefan Bradl, Lorenzo had reclaimed third spot by the end of the first lap, where he remained until the end. Jorge said they had found a little bit extra in warm up this morning and in the early stages it did look like the double champion could keep up with the Hondas however a small mistake cost him a bit of time and the Hondas shot off from there. Lorenzo still leads the championship going into his home round at Jerez, albeit a joint lead with Marc Marquez. Lorenzo’s podium in Austin was his 100th career podium, a feat somewhat overshadowed by his compatriot storming into the history books as the youngest rider ever to win a Grand Prix in the elite class. Next Next post: Marquez: "Our battle is not for the championship"